As part of an ongoing investigation into a money-laundering conspiracy in Spain, Real Madrid President Florentino Pérez admitted to paying €300,000 ($320,000) to set up a ‘fake news’ website to help improve the football club’s social media presence. Operation Púnica was launched over three years ago by the Central Operations Unit of Spain’s Guardia Civil police to target an alleged €250 million money-laundering conspiracy involving politicians from the Partido Popular (PP) political party, city councilors, civil servants, and business owners. In his testimony, Real Madrid President Pérez denied any involvement in fundraising for the PP, while emphatically stating that the so-called ‘fixer of Púnica’, Alejandro de Pedro, never solicited money from him for political ends. “That question annoys me a little. He wouldn’t have dared to ask me something like that. He never spoke to me about that,” Pérez told the court, as cited by El Confidencial, which has published the audio of Pérez’ testimony on its website. However, while the court has not yet established political affiliations between Real Madrid’s president and any of the accused in the investigation, his dealings with De Pedro have created something of a national scandal. According to Pérez, Donato Gónzález, the head of corporate and investment banking in Spain and Portugal for Société Générale, introduced him to De Pedro, claiming he was an impeccable online reputation manager. Pérez then paid De Pedro €300,000 to create the now defunct website El Diario Bernabeu which published favorable news stories on behalf of Pérez and the club, improved their overall online presence and helped push whatever agenda was needed at any given moment. The website engaged in everything from pressuring former manager Carlo Ancelotti into starting star player (and record signing) Gareth Bale more regularly, to publicly condemning refereeing decisions and countering any negative publicity about the club found elsewhere online. In this video, El Diario Bernabeu’s former director, Javi Iglesias, can be heard asking Ancelotti about his reluctance to start Bale more frequently, exactly as discussed by Pérez and De Pedro via text message the night before. “Pres, this morning the coach was asked like I told you,” wrote De Pedro in a text along with a link to the video above. “Good,” replied Pérez. A comprehensive list of the text messages between Pérez and De Pedro has been published on El Diario’s website. “Good evening Pres, we’re on top of the referee story, especially getting pictures of Busquets’ head stomp on Pepe,” De Pedro wrote to Pérez in March 2014. Pérez testified before the National High Court that Real Madrid decided to break the contract with Diario Bernabeu to close a much more lucrative deal with Microsoft, which had developed software which would greatly improve the club’s social media management strategy. 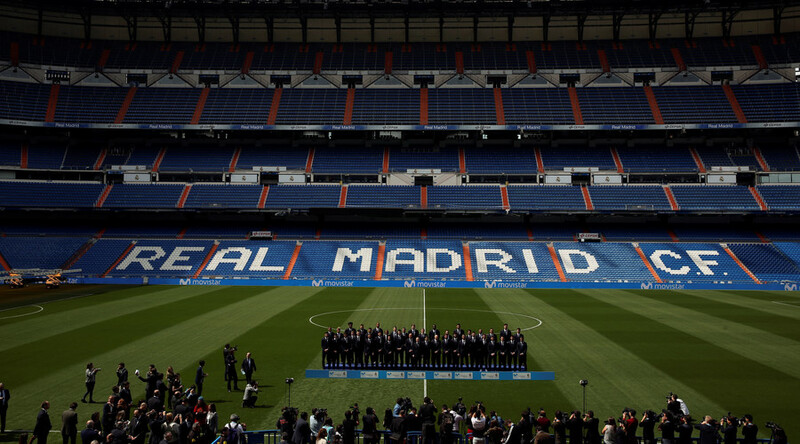 Iglesias testified that Real Madrid were the “only client” of the Diario Bernabeu journal. “The club asked us to do certain things such as countering a campaign against one of their players which was ongoing in the media,” Iglesias said. For his part, De Pedro claims that he does not understand why he’s under investigation and says he’s nothing more than a scapegoat.